Hi friends. Hope your having a great Thursday. We only had three Trick and Treaters last night :(. We are on a corner and our door is on the side street with only four other houses and no houses on the other side of the street, so we don't tend to get many kids despite the fact that I light every window and have my bay window all decorated and lit! 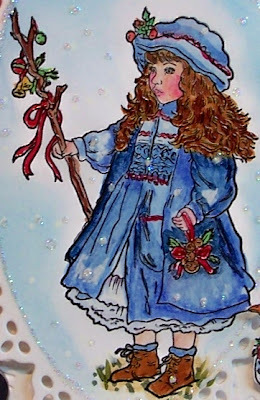 Now that Halloween is over, I packed away those papers and will try to concentrate on getting some holiday cards made. Want to get some designs done that are mailable and I can mass produce. I received some rubber stamps that I ordered from Crafter's Companion yesterday and just had to ink up and color this one. 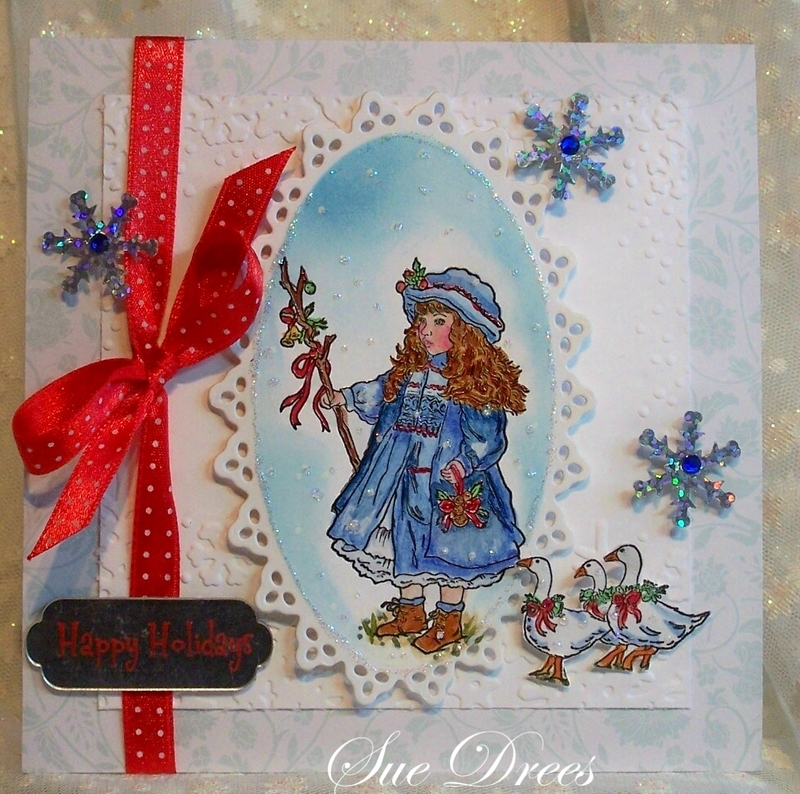 This stamp set, which includes six small stamps is called Goose Girl. It is part of the Paintbox Poppets by Artist Christine Haworth. 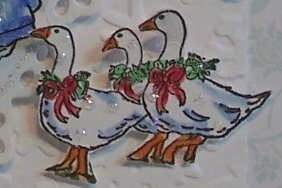 These, of course, are the geese. Snowflakes were purchased years ago at Pier One for table decorations. These are beautiful stamps, but very detailed and somewhat fussy to color, but I love her! Is everything OK with you? You are in my thoughts! Stunning card and your colouring is fabulous! Great design! I so love your cards, you are always a joy to visit! You've done a nice job with her! Sorry that my visits have been a wee bit sporadic. I just had to come and check out this lovely goose girl! She is amazing!! Hope you are well. I love Halloween but Christmas is my most favorite holiday! Your card is so pretty! We had SNOW today in this part of WI - Whoa, I am so NOT ready! Wishing you a great day!